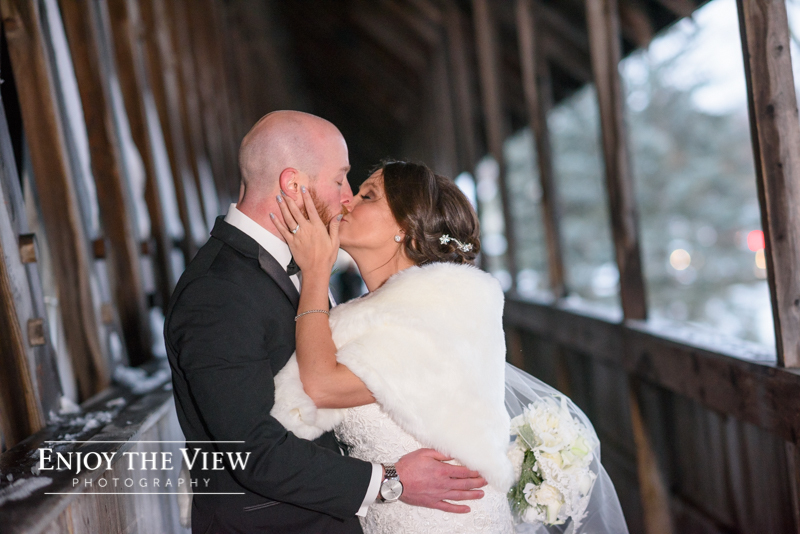 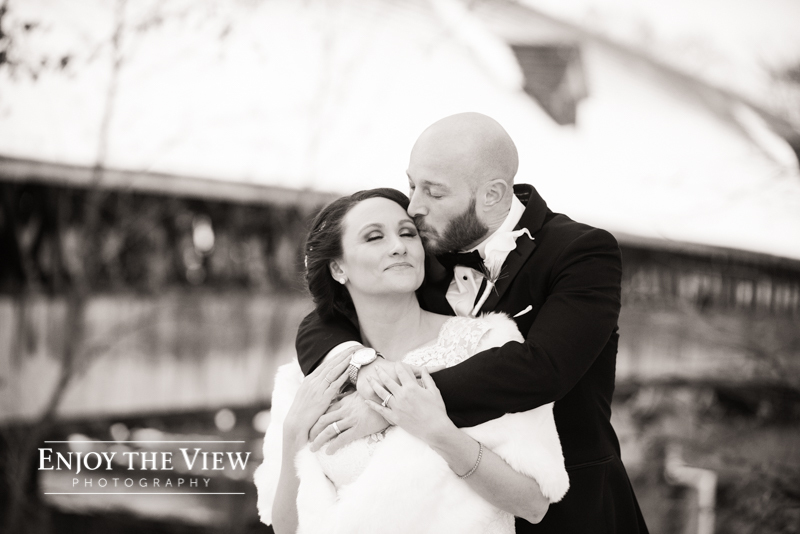 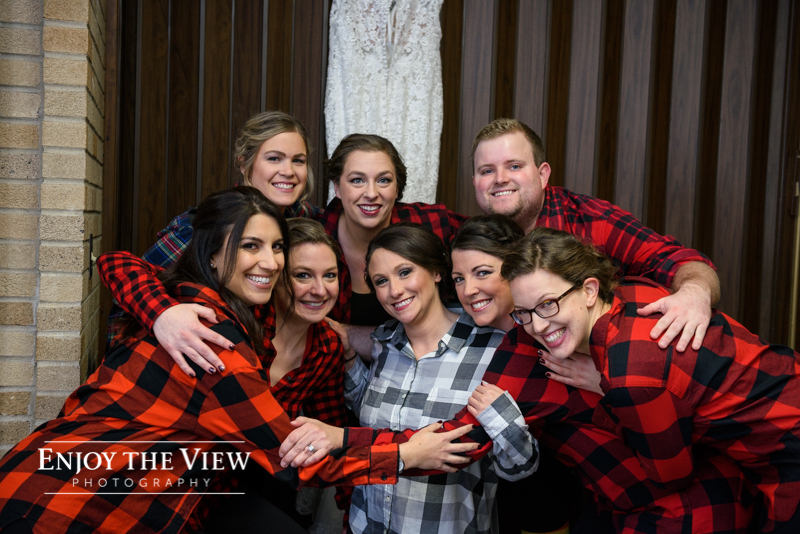 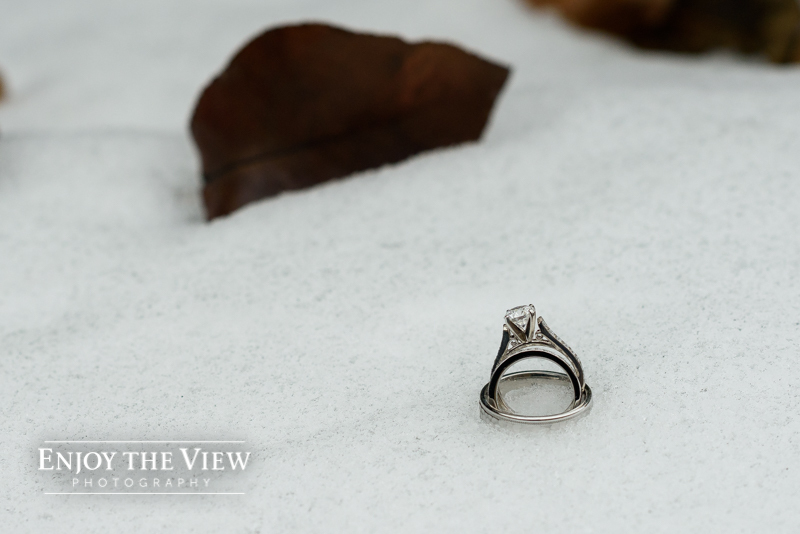 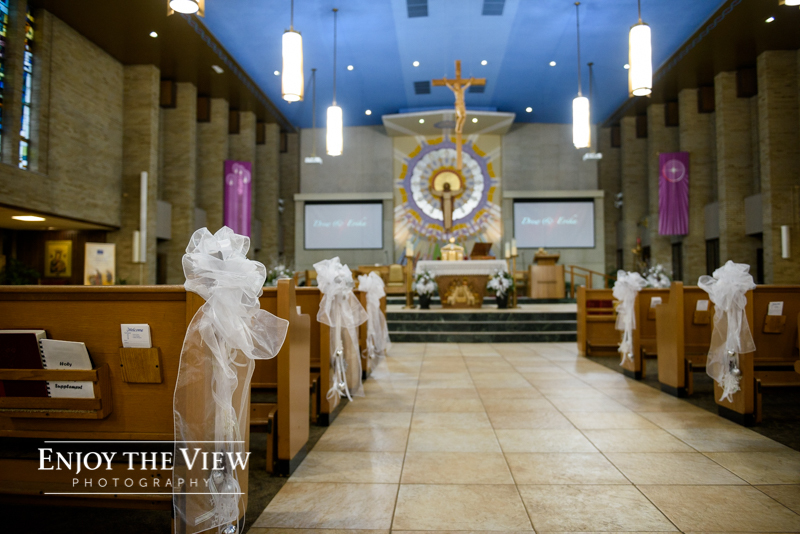 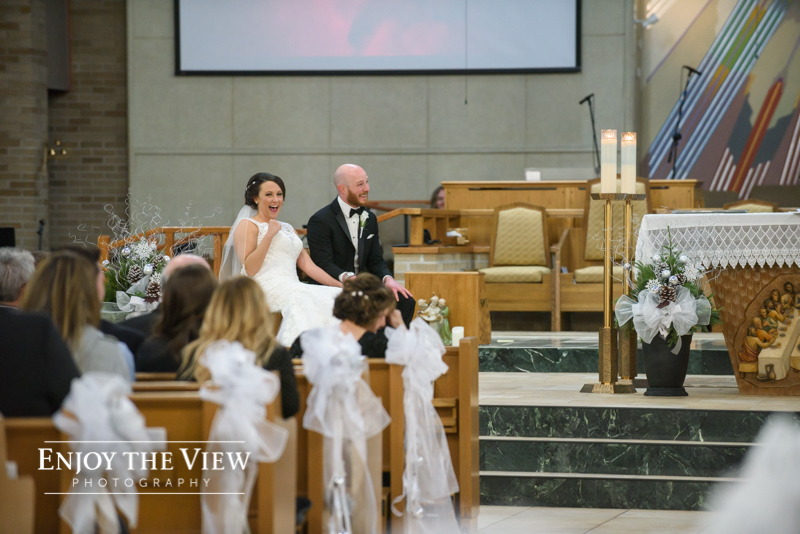 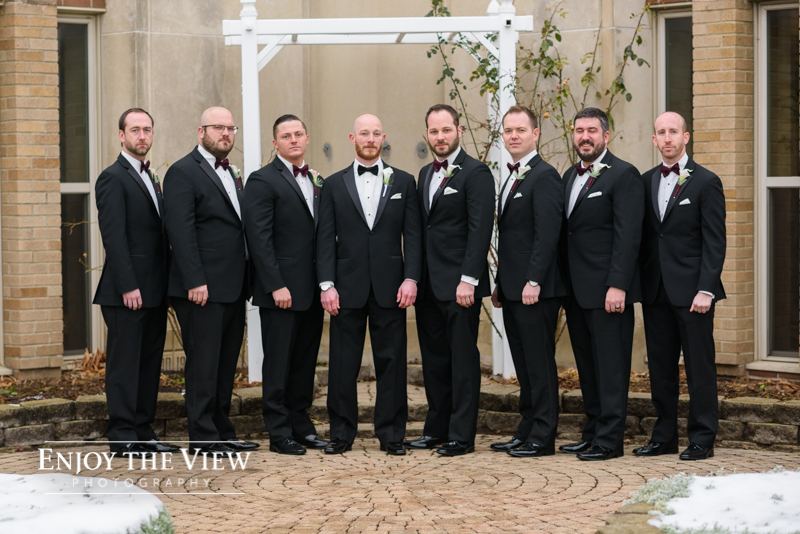 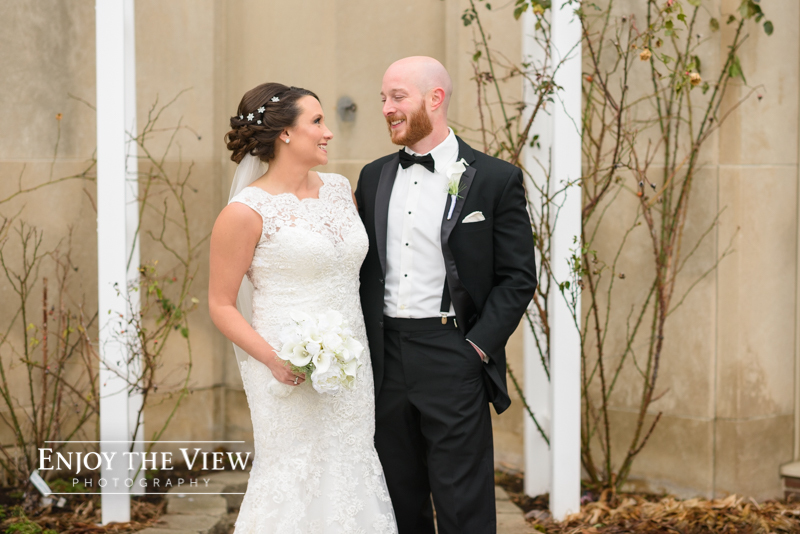 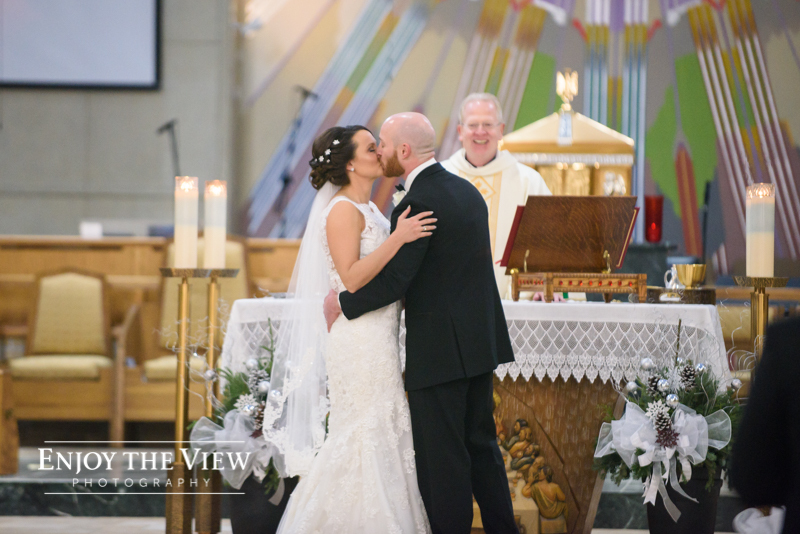 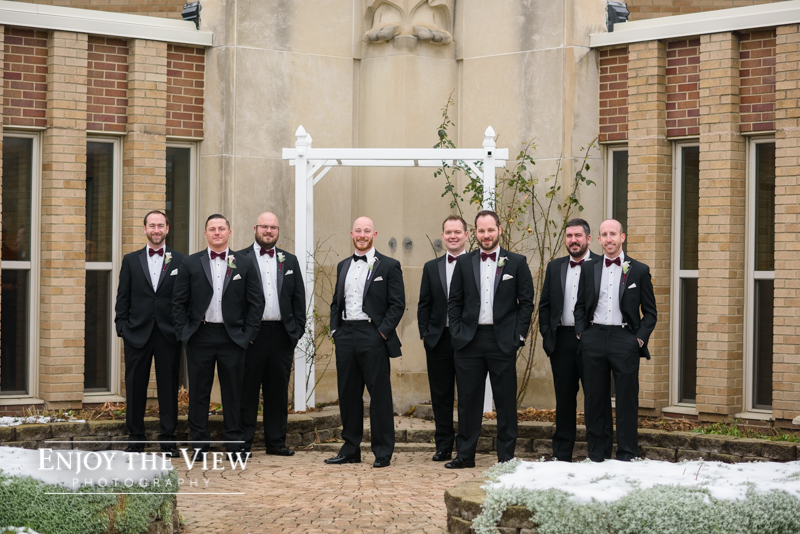 Erika & Drew are a simply amazing couple that were married on a chilly winter day at Holy Redeemer Church in Burton. 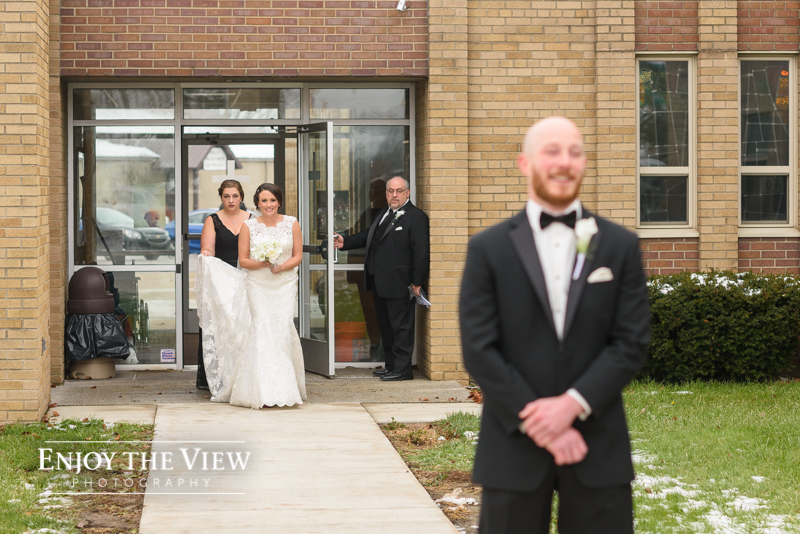 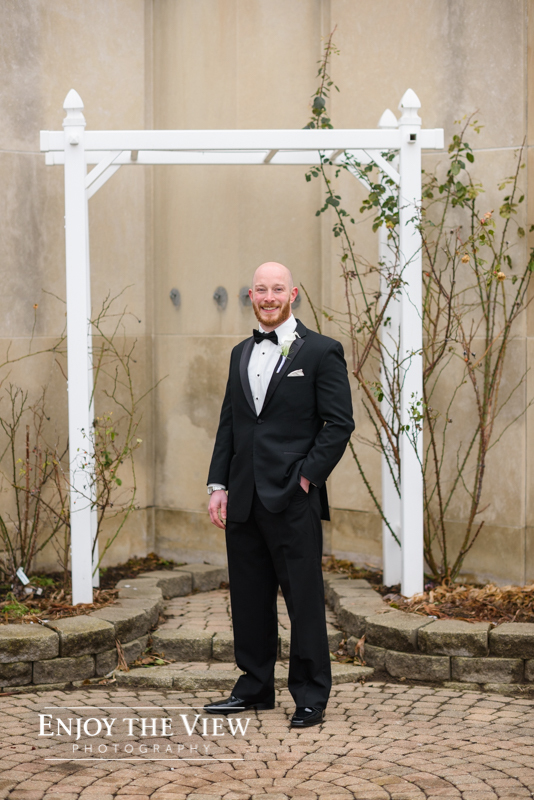 We were able to photograph some of the preparations and then take some portraits prior to the ceremony outside of the church. 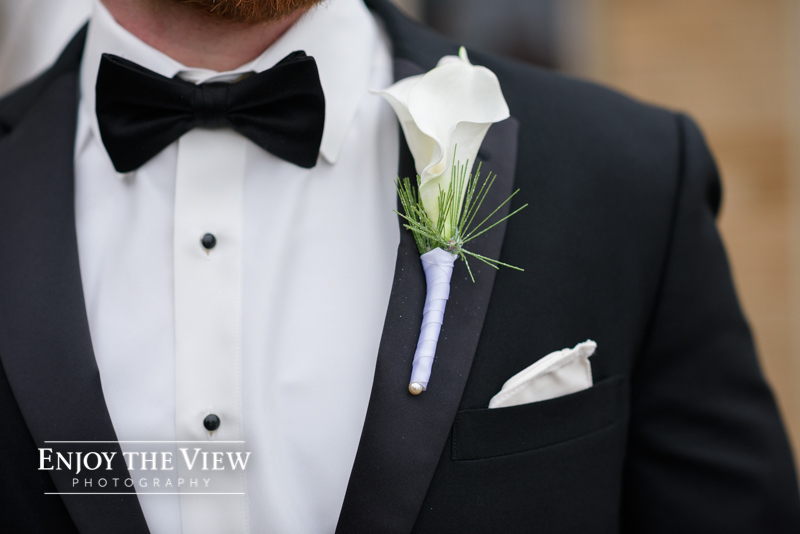 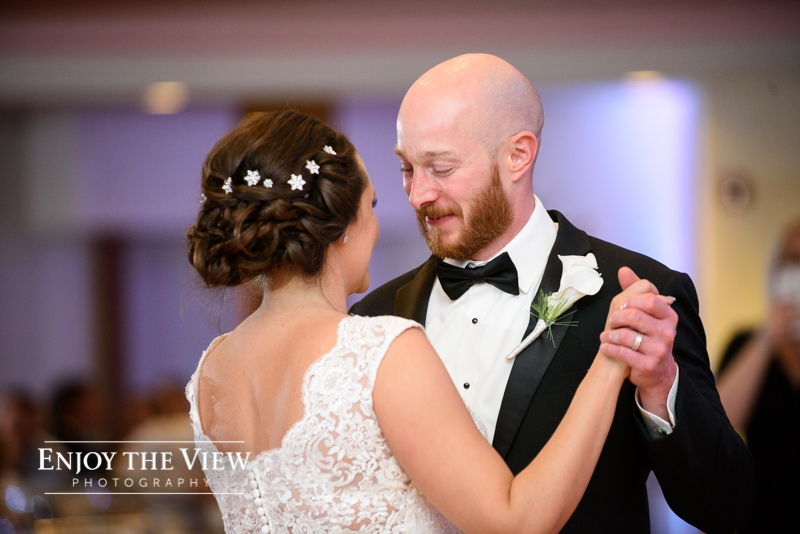 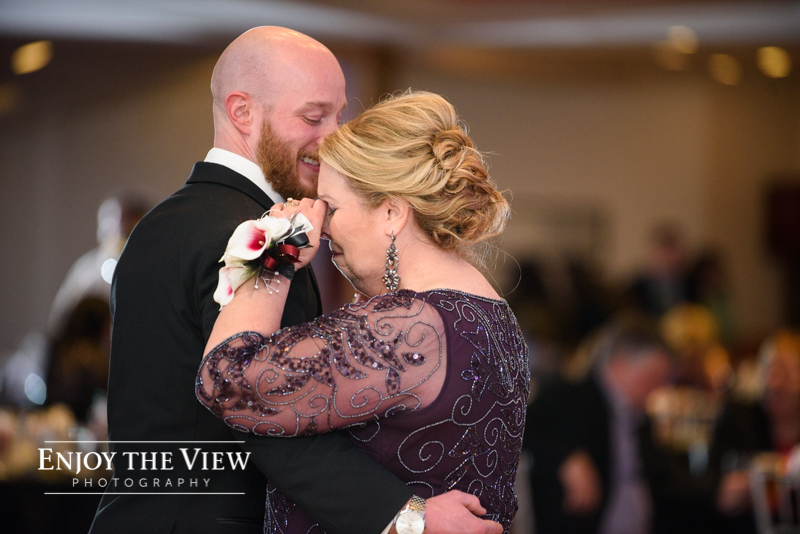 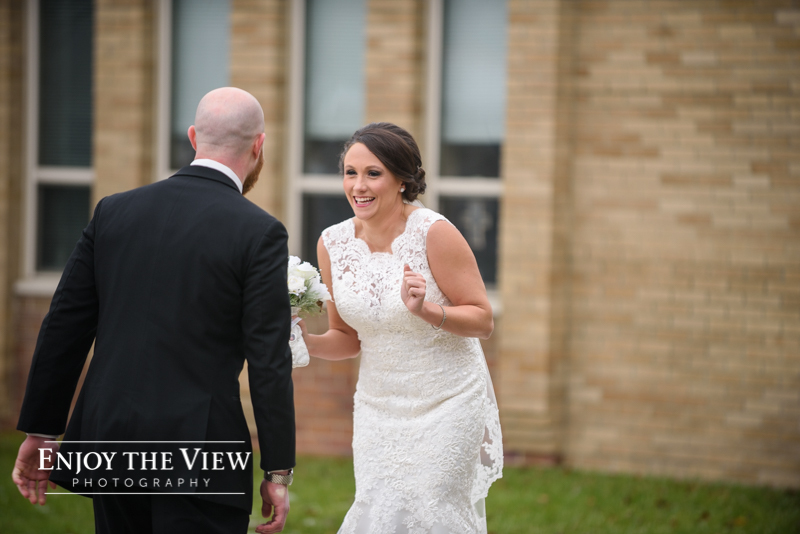 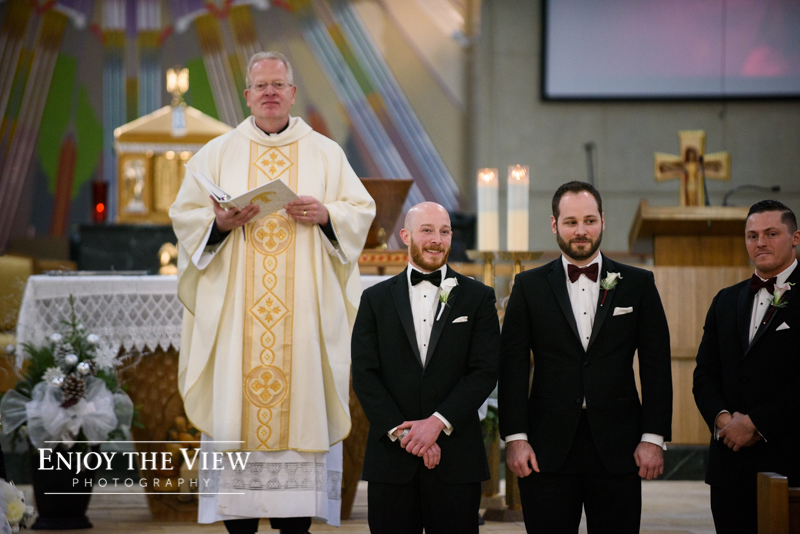 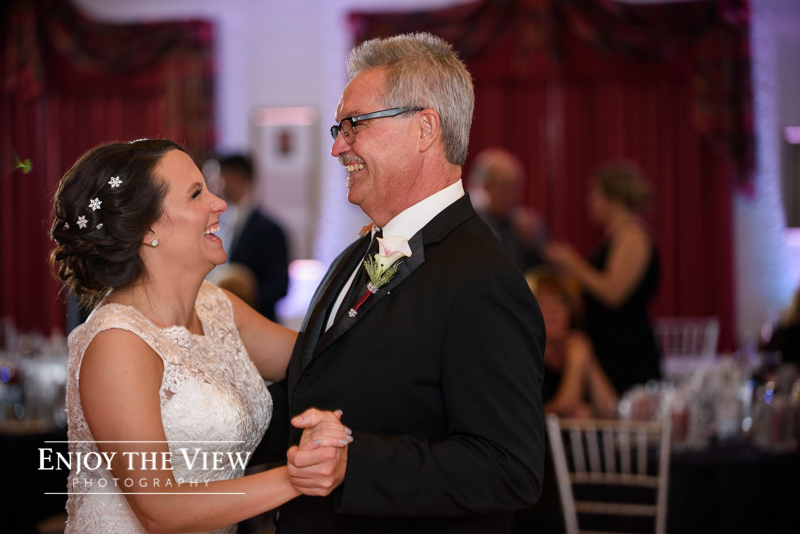 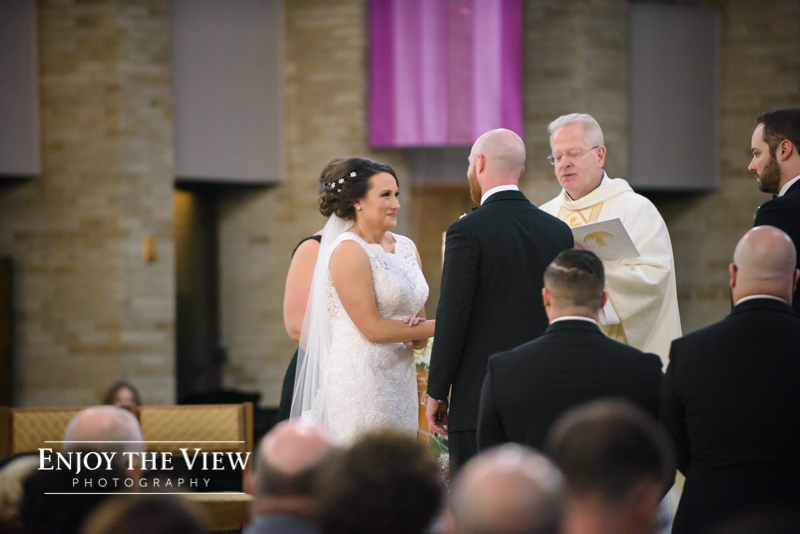 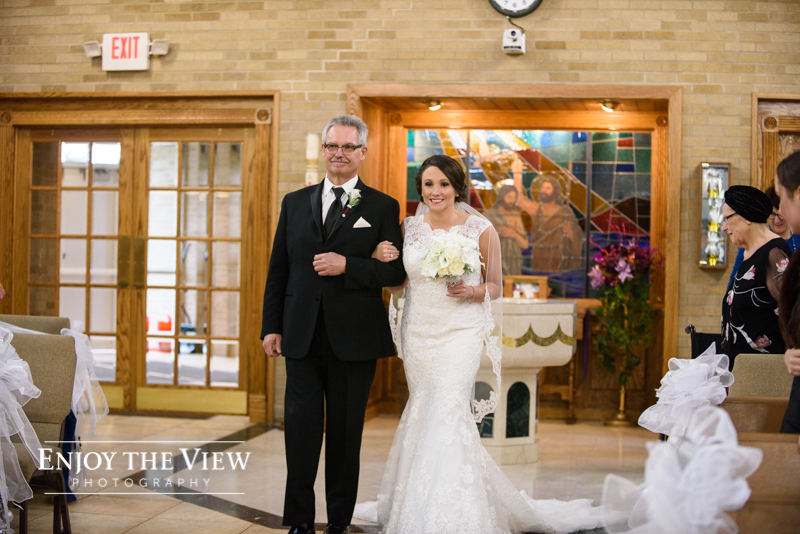 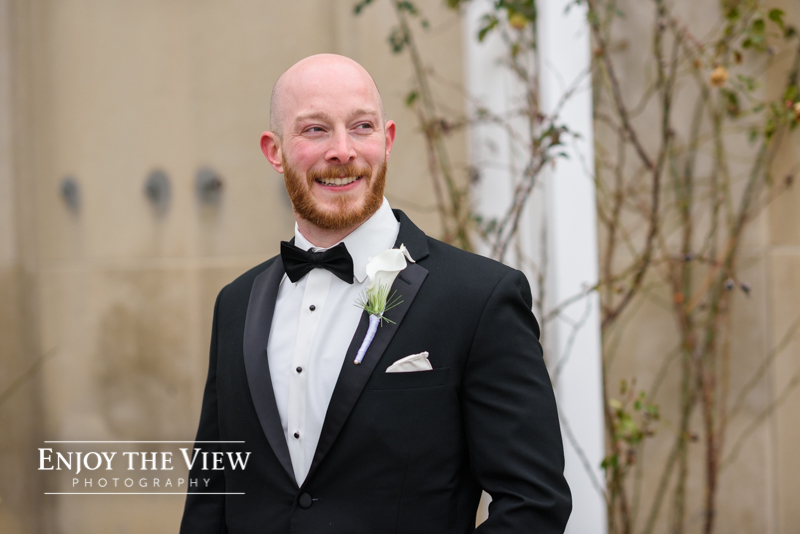 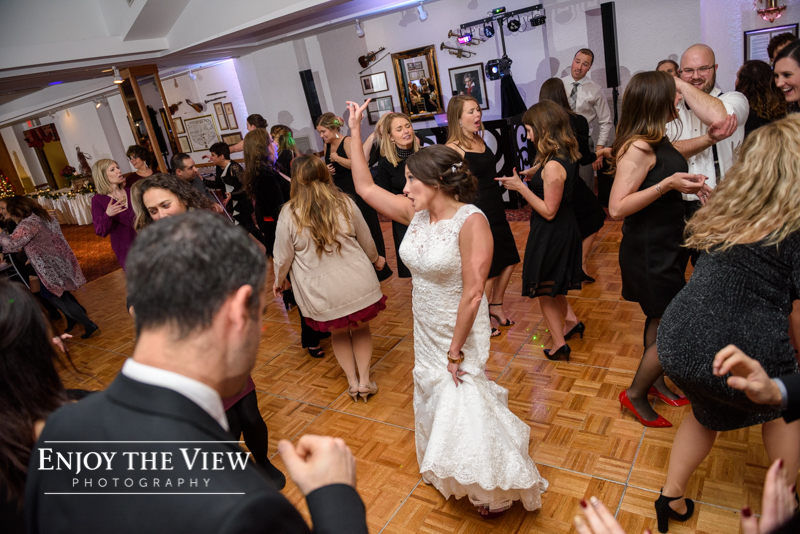 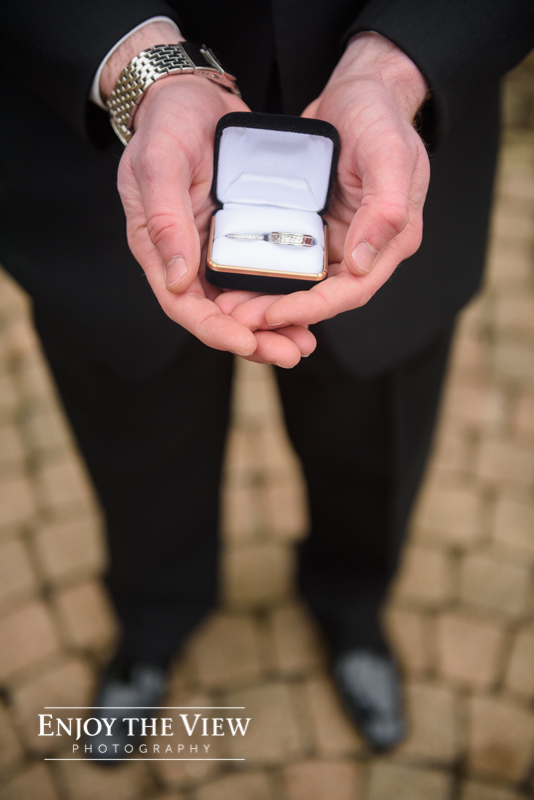 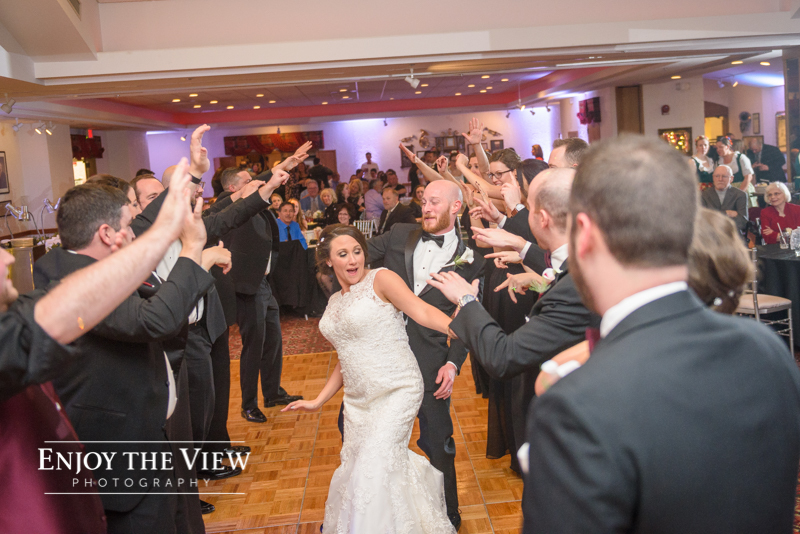 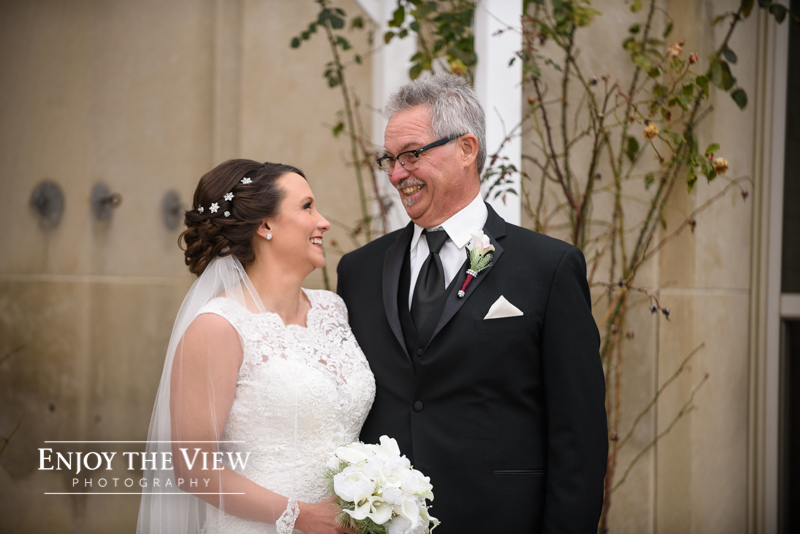 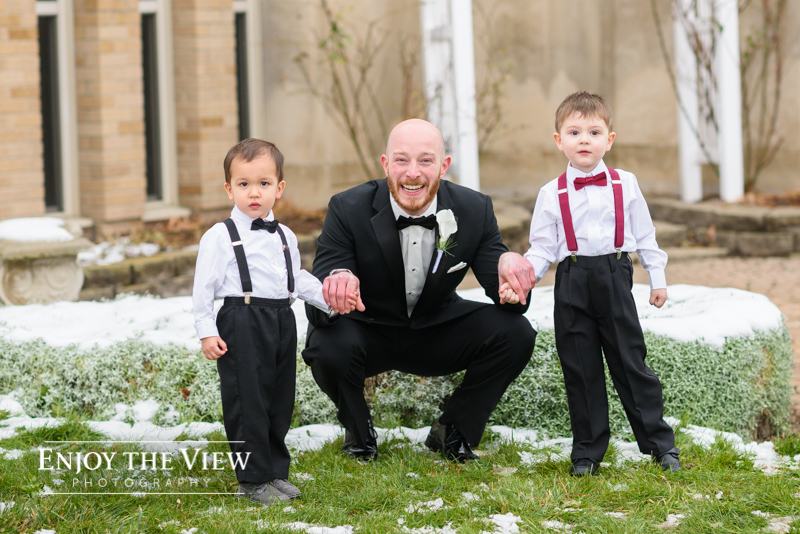 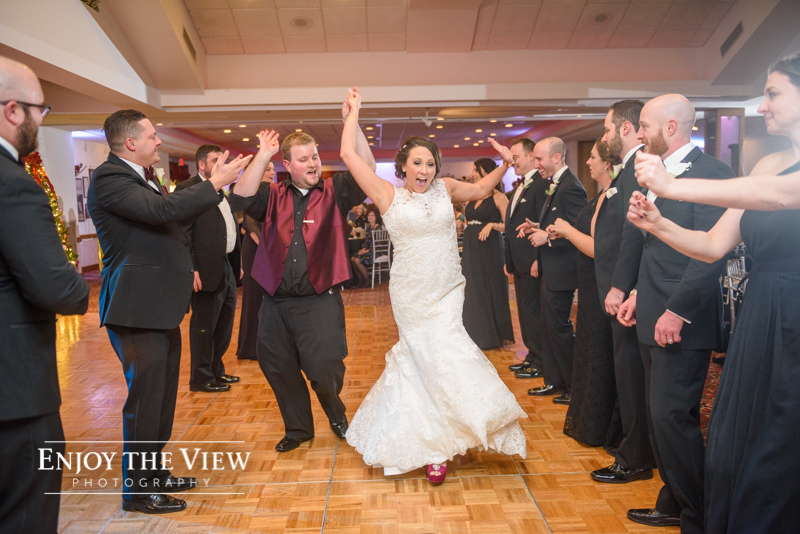 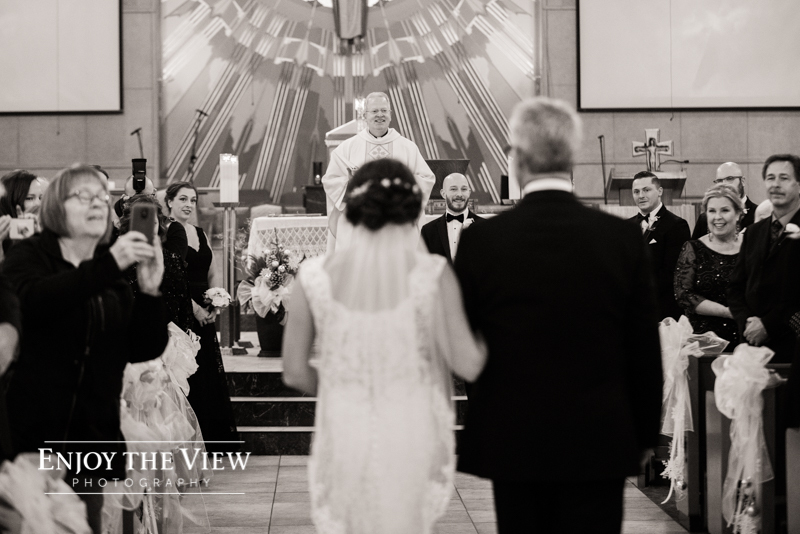 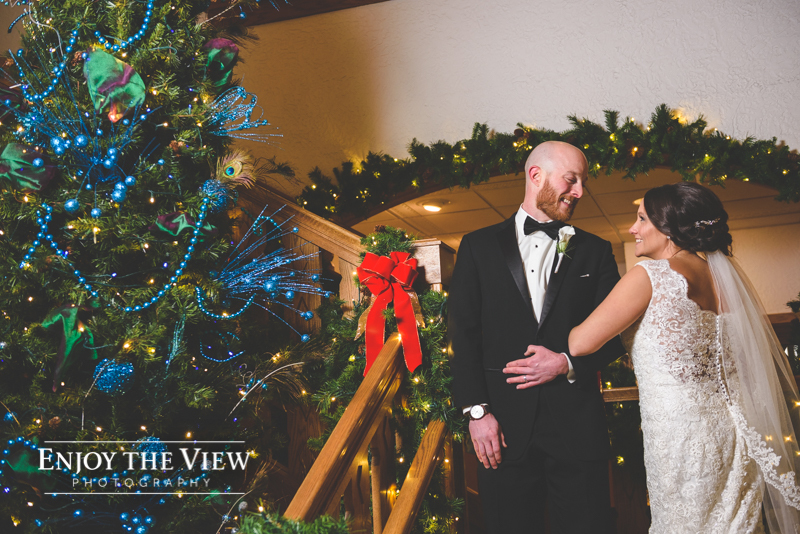 The bride & groom had a first look, which means they saw each other prior to the ceremony, which is always a great idea for winter weddings because the sun sets so early in the day. 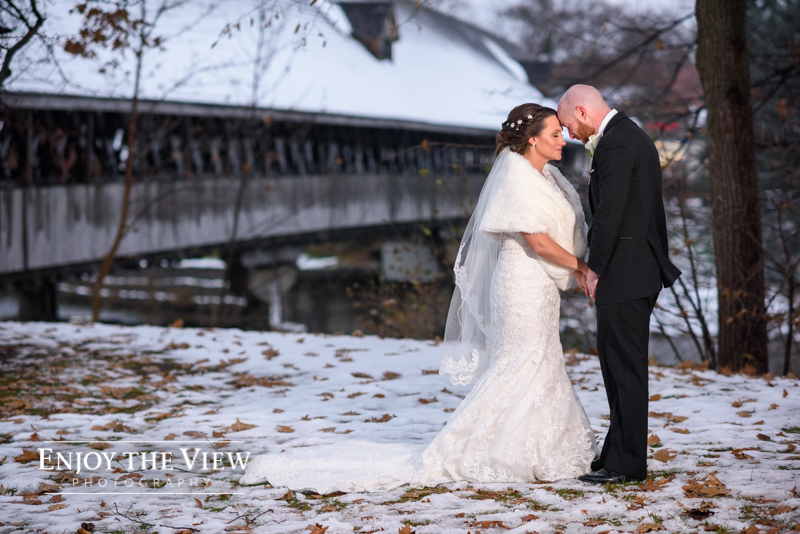 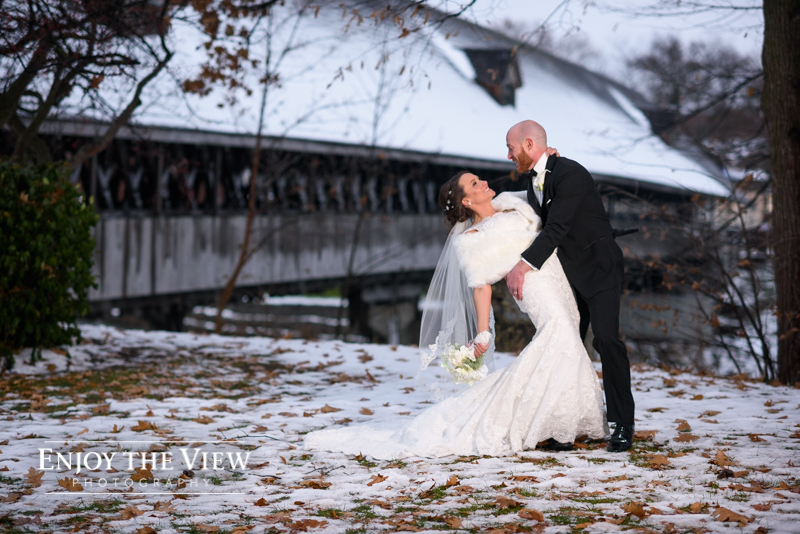 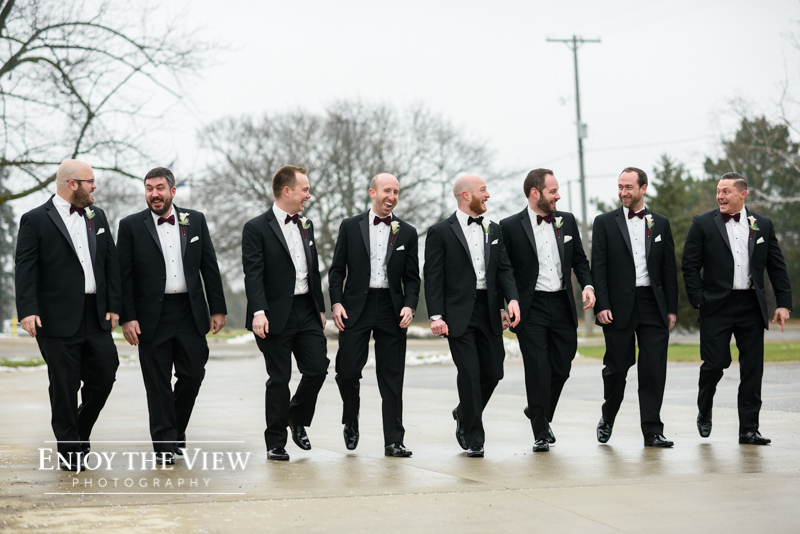 Following the ceremony, we headed to Frankenmuth for some photos by the Covered Bridge. 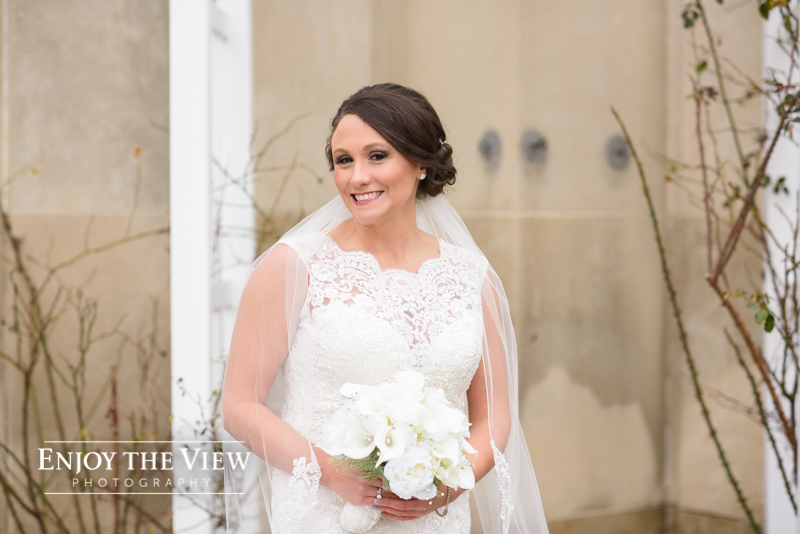 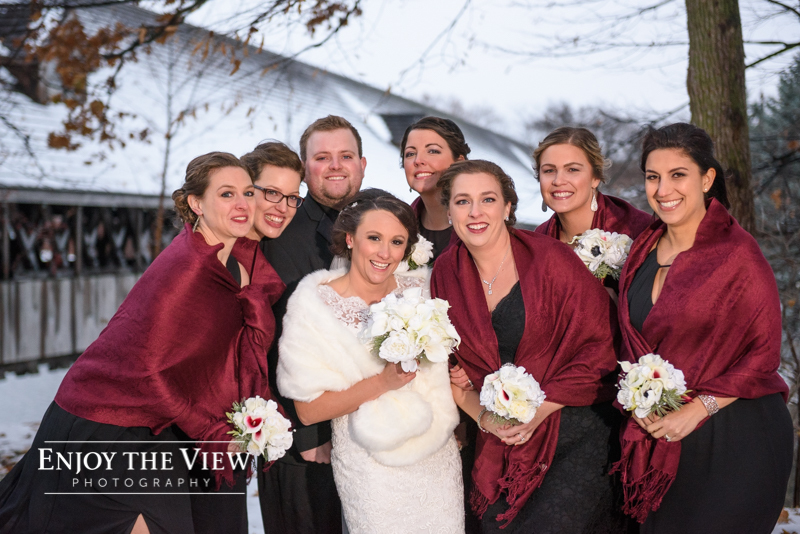 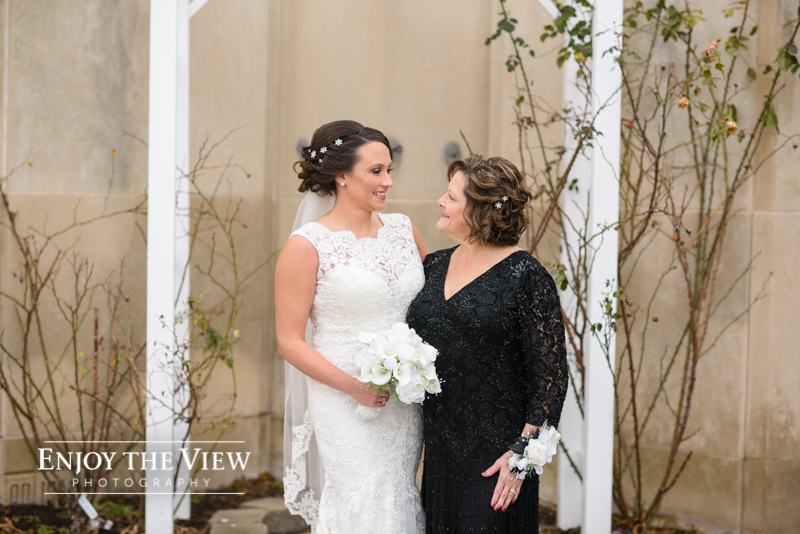 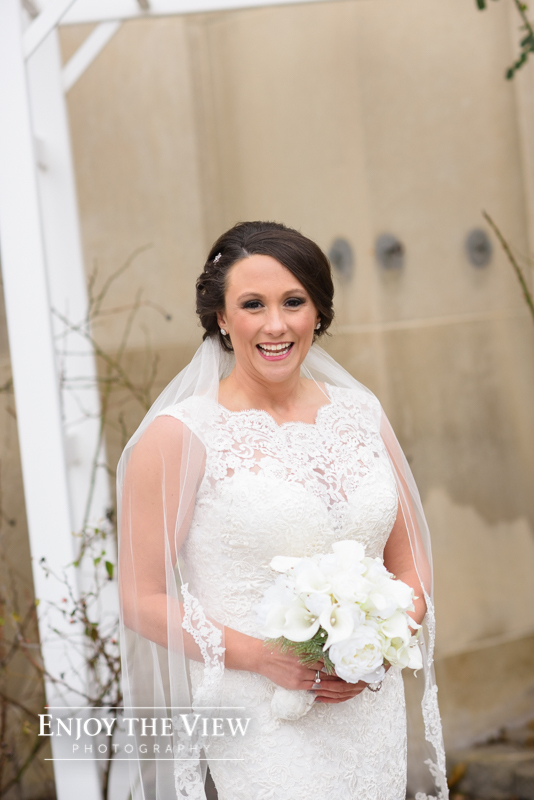 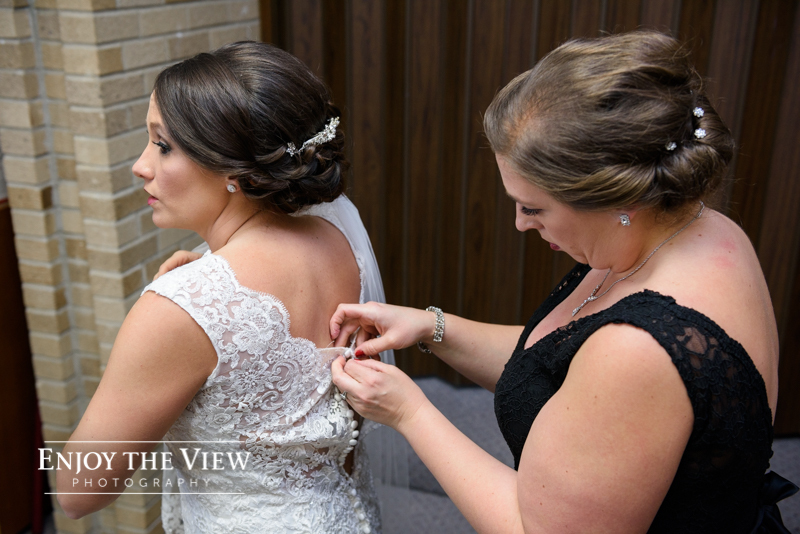 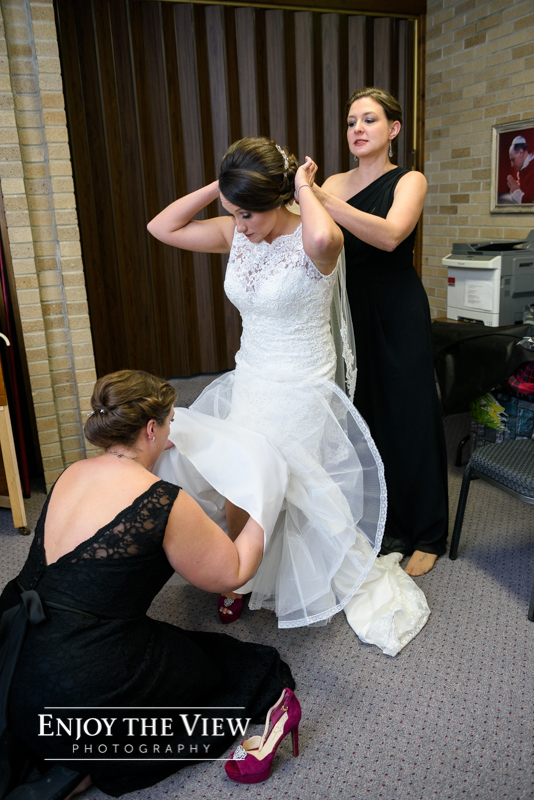 The bride & girls were such troopers about the cold – not an easy task when you’re wearing a dress in the snow! 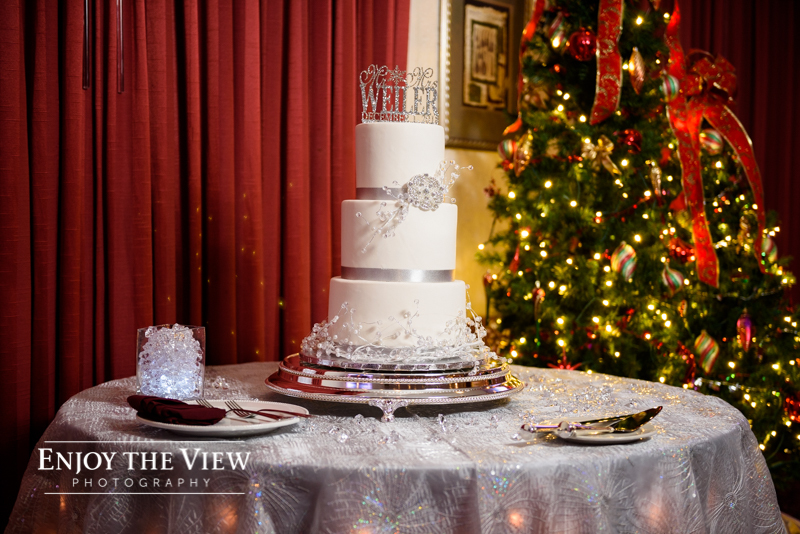 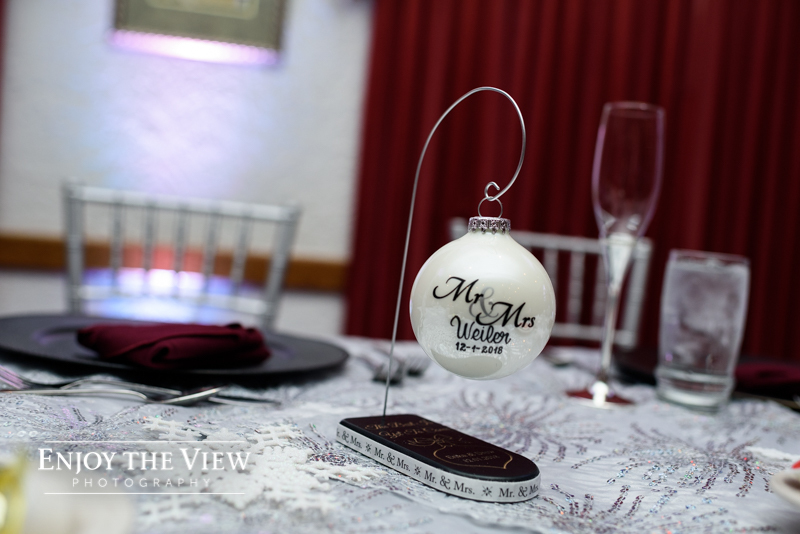 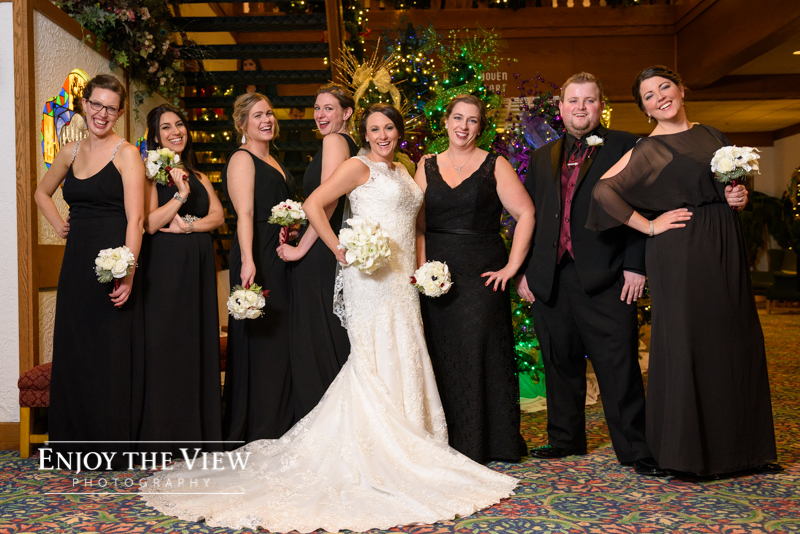 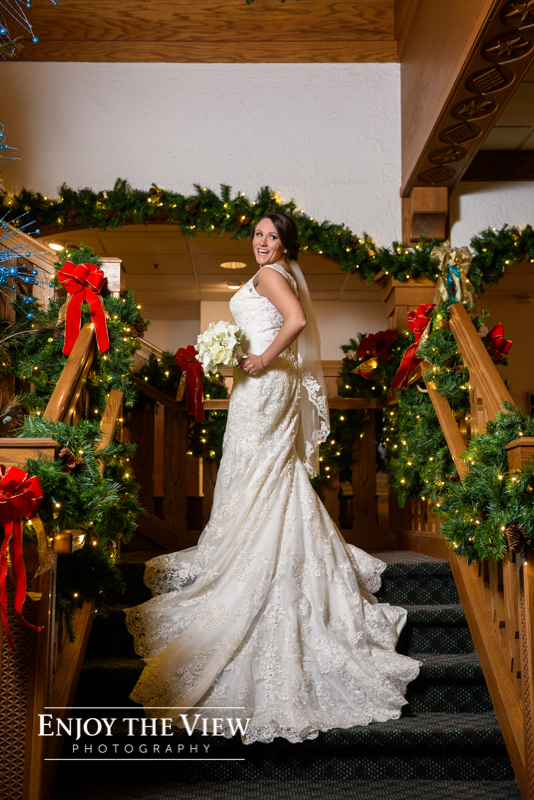 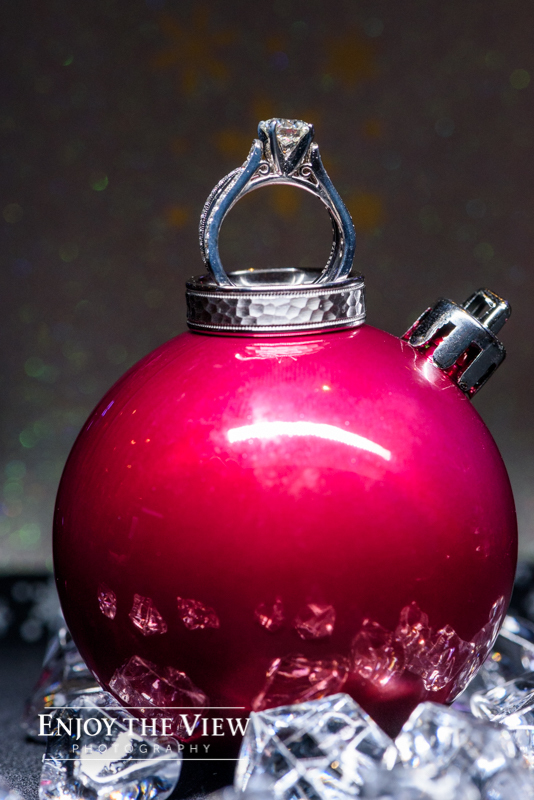 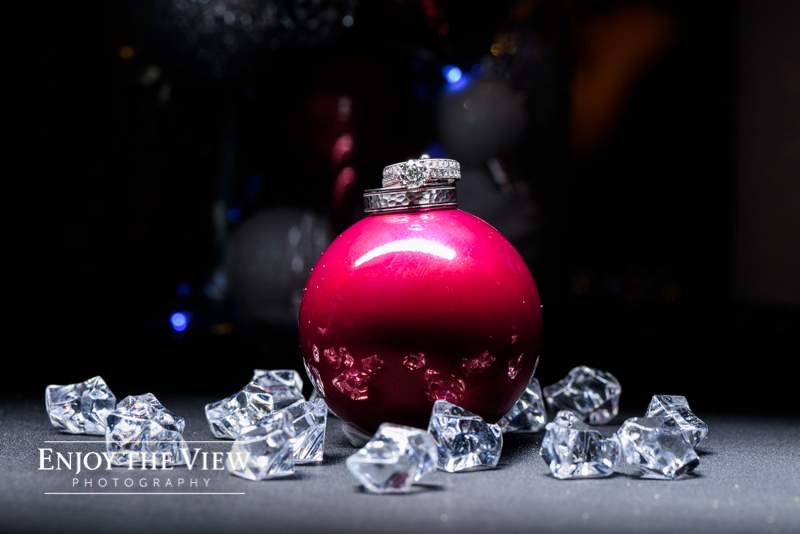 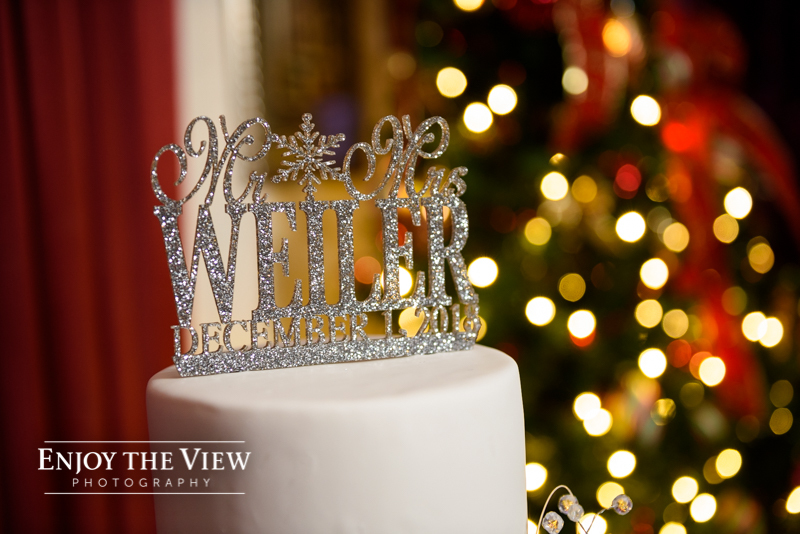 We wrapped up the photo session inside the Bavarian Inn Lodge, which was decorated beautifully for Christmas. 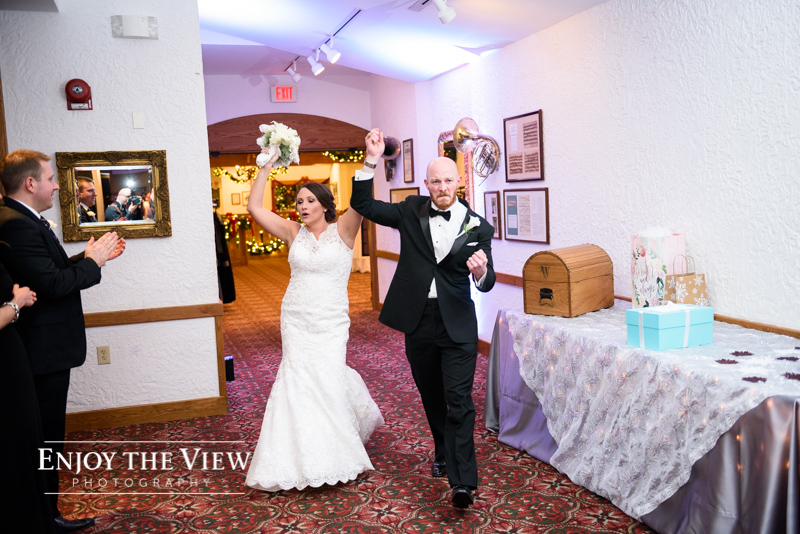 They had a gorgeous reception upstairs in the Composer Room at the Lodge.